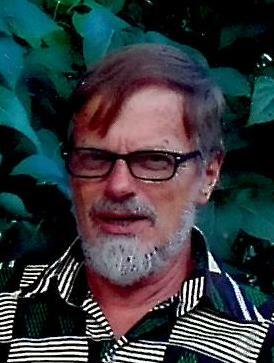 Portland, ME – Robert J. Lebel, 70, died, unexpectedly, on Wednesday November 2, 2016 at Maine Medical Center. He was born on August 1, 1946 in Lewiston, ME a son of the late Claude R. and Helen M. (Rossignol) Lebel. He attended Marist Prep in Framingham, MA, St. Michael's College in Winooski, VT then went on to attend McGill University in Montreal, Canada. Bob worked many years as a Certified Nurse Assistant for both St. Mary’s Health Center in Lewiston and the Peabody House in Portland before retiring. Bob was active for years helping immigrants to integrate into to their new home. He taught English as a second language as well as facilitating and and supporting them in their daily lives. Before his death, he was learning Arabic language and culture in order to better help new immigrants entering this country. He was also an active member of SAGE and PITA and sang for the Maine Gay Men's Chorus for years. Bobby was a gentle, kind and unique person. He positively touched the lives of all who crossed his path. He will be greatly missed by his family, friends and community at 100 State St. in Portland. He is survived by his siblings Philip Lebel and his wife Marise, Patrick Lebel and his wife Colleen, Normand Lebel and his wife Betty and Cecile Szal and her husband Bruce. He also leaves many special nieces and nephews. Relatives and friends are invited to attend a Celebration of his Life on December 3rd at 100 State St., Portland, Me from 10 a.m. to 2:00 p.m.